After the summer break the Porsche LMP Team heads to the first 2017 overseas race: The fifth of nine rounds of the FIA World Endurance Championship (WEC) is held on September 3 in Mexico City and the team aims to extend its championship lead. After race wins in Le Mans and at the Nürburgring, Porsche now leads the manufacturers’ standings on 154 points from Toyota (114.5 points). The trio of Earl Bamber (NZ), Timo Bernhard (DE) and Brendon Hartley (NZ) currently tops the drivers’ standings on 108 points, having a 30-point advantage to the best placed Toyota crew. Reigning World Champion Neel Jani (CH) and his partners André Lotterer (DE) and Nick Tandy (GB) with the second Porsche 919 Hybrid currently rank in fourth position (46 points). Fritz Enzinger, Vice President LMP1, says in the run-up to the six-hour race in Mexico: “We continue to follow the clear target of defending both world championship titles. After winning the Le Mans 24 Hours for the third consecutive time despite difficult circumstances, and more recently claiming a hat-trick of wins at the Nürburgring, we want to conclude the 2017 WEC with the third successive constructors’ and drivers’ titles.” Since Porsche’s return to the top category of Le Mans Prototypes (LMP1) in 2014, the Porsche 919 Hybrid has won 15 races. The circuit is named after the brothers Pedro and Ricardo Rodríguez, who’s successes are fondly remembered at Porsche; especially the feats of Pedro Rodríguez who became sports car world champion with the 917 in 1970. The circuit is narrow and challenging. Its landmark is the right-left-hander in front of the steep grandstands of a former baseball stadium. The race starts at noon on Sunday and will be broadcasted worldwide on the internet and television. – The WEC efficiency regulations limit the amount of energy that can be used per lap. On the 4.304 kilometres long lap of the Autódromo Hermanos Rodríguez, the Porsche 919 Hybrid can use 3.92 megajoule of electrical power from energy recovery systems and 1.10 kg/1.52 litres of petrol. – At normal race speed, the Porsche 919 Hybrid is due for refuelling after a maximum of 40 laps. – Refuelling and changing tyres may only be done sequentially, not at the same time. Only four mechanics may work simultaneously when changing tyres and also may use only one wheel gun at a time. That takes a lot longer than in F1, for example. – The drivers are normally only changed when new tyres are needed. – These different types of tyres can be used: three different compounds of slick tyres for dry conditions, a hybrid tyre (no profile either but softer cover) for mixed conditions and wet weather tyres. Four sets of dry weather tyres are available per car for qualifying and the race, this is two sets less than in 2016. – A lap on the Grand Prix circuit has eleven right handers and six left handers. – In the 2016 qualifying, the lap times of the top four LMP1 cars were covered by just three tenths of a second. The two Porsche 919 Hybrids started from grid position two (Romain Dumas/Neel Jani/Marc Lieb) and four (Timo Bernhard/Brendon Hartley/Mark Webber). Pole position went to Audi drivers Lucas Di Grassi/Loic Duval/Oliver Jarvis with an average lap time of 1:25.069 minutes. 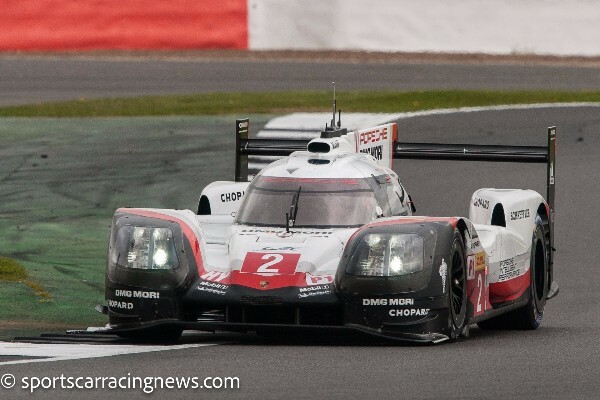 They had beaten the average time of the second placed Porsche by a mere 0.042 seconds. André Lotterer, back then at the wheel of the sister Audi, managed the overall fastest qualifying lap in 1:24.763 minutes. – The action packed six-hour race saw frequent changes for the lead, rain at times and Bernhard/Hartley/Webber taking the race win. The sister Porsche was unlucky with the tyre strategy in changing conditions and also had contact with another car. The 2016 world champions finished fourth in Mexico.